Faith outreach is about more than just donating to a cause. It’s about making a personal investment in understanding and responding to the needs of others. As a community of volunteers, we look for programs that engage our students and faculty in practical and meaningful ways. Student outreach ranges from cooking and delivering meals to neighbors in need to assisting disaster victims around the world. The children emerge with a better understanding of the critical issues facing both our local and global communities, and what they can do to help. Our faculty and staff also participate in outreach projects – responding to the growing epidemic of hunger by serving meals at the Cor Unum Meal Center and assembling boxes of food for the Greater Boston Food Bank. 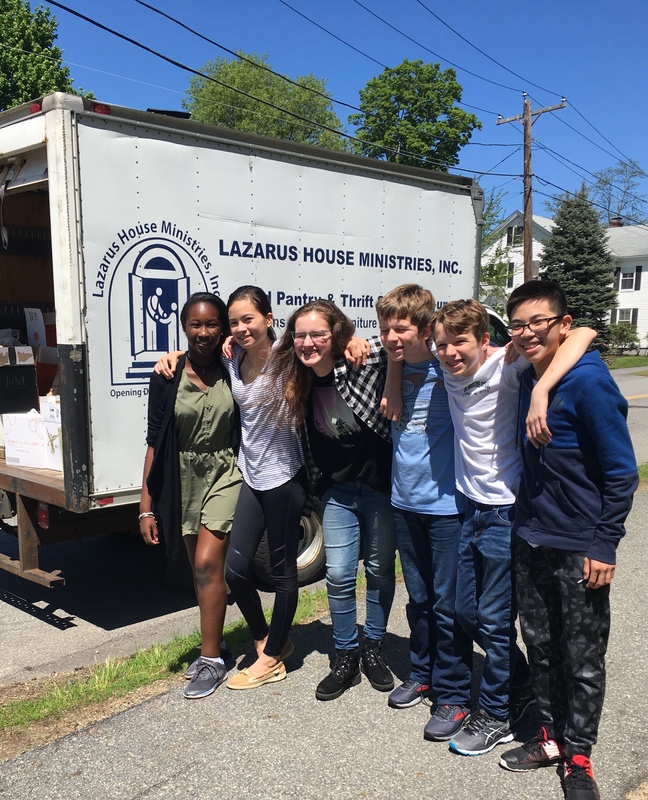 Recognizing and serving the needs of others is a fundamental practice within our school community – and one that we hope our students will sustain long after they graduate.